The guitar of choice for blues artist Rory Block, Martin built the now-discontinued OM-28V in two runs – first as the OM-28VR from 1984 to 1990, then as the OM-28V from 1990 to 2014. 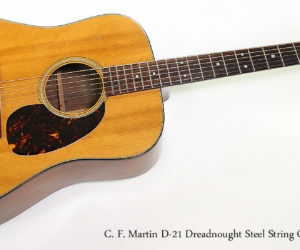 The C. F. Martin D-21 Steel String Guitar is less common than its classic D-18 and D-26 brethren. 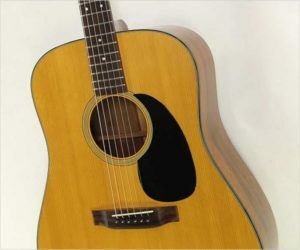 Drawing on the same Dreadnought body design, the D-21 combines D-18 level decoration with the D-28 wood choice of Rosewood for the back, sides and headplate. In 1967, the word ‘Rosewood’ almost always meant Brazilian Rosewood, and this D-21 uses avery nicely figured set. By 1969, Martin had stopped offering Brazilian as an option. 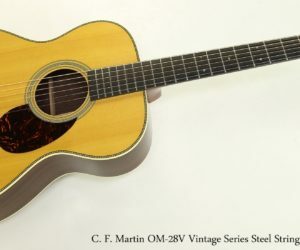 This C. F. Martin D-21 is fresh from being maintained and set up in our repair shop and it plays very well. Built from 1955 to 1969, the C Martin D-21 sat between the D-18 and D-28 models. 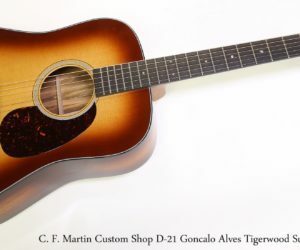 This 1966 D-21 is one of the last Martins built with Brazilian Rosewood.